Music, Passion, and Cognitive Function examines contemporary cognitive theories of music, why they cannot explain music’s power over us, and the origin and evolution of music. The book presents experimental confirmations of the theory in psychological and neuroimaging research, discussing the parallel evolution of consciousness, musical styles, and cultures since Homer and King David. In addition, it explains that 'in much wisdom is much grief' due to cognitive dissonances created by language that splits the inner world. Music enables us to survive in this sea of grief, overcomes discomforts and stresses of acquiring new knowledge, and unifies the soul, hence the power of music. Do Students Suffer During Tests and Could Music Help? Dr. Leonid Perlovsky is Professor at Northeastern University Psychology Department and jointly at Engineering Department, also CEO LP Information Technology, past Visiting Scholar at Harvard Medical School Athinoula Martinos Brain Imaging Center, Harvard School of Engineering and Applied Sciences, Technical Advisor and Principal Research Scientist at the AF Research Lab. Together with colleagues around the world he creates a new area of science Physics of the Mind that turns psychology into "hard science". Physics of the mind has explained wide areas of psychology not previously understood including conscious and unconscious, has predicted unexpected psychological phenomena many of which have been experimentally proven in most prestigious labs around the world; experimental tests and theoretical aspects of physics of the mind open a wide area for future research. Among revolutionary successes of physics of the mind are cognitive-mathematical modeling of several fundamental psychological areas that have resisted mathematical modeling for decades, including perception and cognition, neural mechanisms of abstract concepts, interaction of cognition and language (unresolved since Chomsky), cognitive functions of aesthetic emotions (misunderstood since Kant), cognitive functions of emotions of the beautiful, mechanisms of the high meaning, interactions between beautiful and meaning, cognitive functions of musical emotions, and the reasons why music affects us so much - what Darwin called the greatest mystery. Dr. Perlovsky has created a mathematical foundation for physics of the mind, a new area of cognitive mathematics, dynamic logic, which overcomes computational complexity preventing mathematical modeling of the mind since the 1960s. He served as Chief Scientist at Nichols Research, a $500mm high-tech DOD contractor, as professor at Novosibirsk University and New York University; as a principal in commercial startups. His company predicted 9/11 market crash a week before the event and supported the SEC investigation. He is invited as a keynote plenary speaker and tutorial lecturer worldwide, including most prestigious venues such as the Nobel Forum at Karolinska Institutet; authored more than 500 publications. He organizes international conferences and serves on the Boards of professional societies. 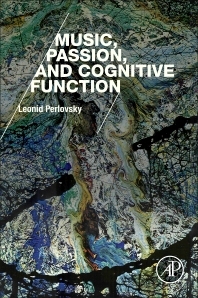 "Music: Passions and Cognitive Functions" is his most recent book. He has founded and serves as Editor-in-Chief for “Physics of Life Reviews,” the IF=9.5, ranked #3 in the world among 84 journals in biophysics. He received prestigious awards including the INNS Gabor Award, and the John McLucas Award, the highest US Air Force Award for basic research. In 2016 he has been appointed Professor at St Petersburg Peter the Great Polytechnic University.